In larger restaurant chains, the menus change slowly. One reason is technical: it typically costs between 100 and 500 dollars for a technician to manually update each professional oven with new recipes – and most restaurants have several of these ovens. To get ahead of the competition and meet the food service industry’s demand for more flexibility, Hounö, a manufacturer of professional ovens, teamed up with design-people. The assignment: let’s take a lead in the Internet of Things trend by creating new Cloud services around our products that create real value for our stakeholders and users. Including users along the way gave the project its pace and rhythm. Starting with an initial 12-participant-workshop, moving on to developing digital experience prototypes and then getting feedback on these from future users at Europe’s biggest food service equipment exhibition in Milan, the aim for a unique customer experience was what constantly drove innovation further. Next followed several iterations exploring the current workflows of technicians, chefs and restaurant managers. These ultra detailed insights gave designers and developers the best possible conditions to frame and finalize the content structure of the Cloud solution: Screen architecture; interaction principles such as navigation and transitions; and last but not least the visual integration of the HOUNÖ identity. Approximately 5 years back we reached out to design-people team on a UI-project. We went to the meeting with a solid feeling that the team would simply confirm and support our hypothesis. Wauw, were we wrong! The meeting became one of the biggest eye-openers for us in relation to talking to the right people within disciplines that are not (and should not be) your core business. 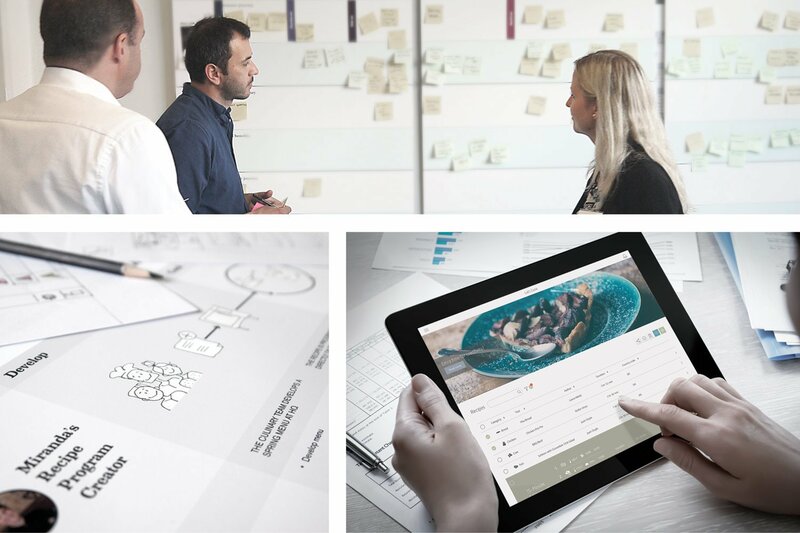 Today, design-people is a strategic partner for us in several areas like user studies, product and UI-design, customer journeys and digital innovation. The partnership has proven itself with award-winning products, while at the same having a significant impact on the learning side of our company.